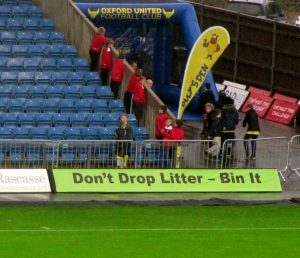 On December 10th we took our Don’t Drop It – Bin It message to the Kassam Stadium – literally in the form of a pitch side advert which will be on display for several months and though an entry in the Match programme. 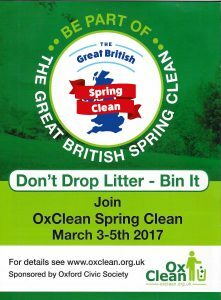 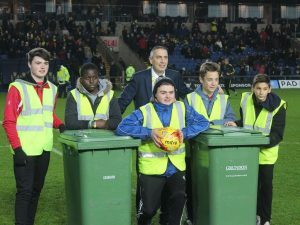 During half-time boys from the Cherwell School kicked balls into bins while Peter Rhodes-Brown (‘Rosie’, ex-OUFC player) used the public address system to commentate on the Bin It display and get over key messages about litter and OxClean. 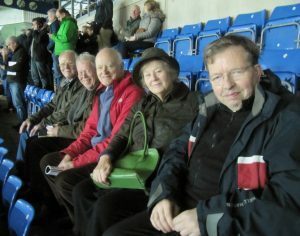 The match ended 1-1, but the boys got the ball in the bin more often!